The purpose of this work is knowing the JetCAT P80 acoustic performances in order to know how to integrate him into the laboratory infrastructure and evaluate his noise impact on staff, students and on the entire campus, such that his exploitation can be performed without interfering with the other university courses. A series of noise measurements at different operating regimes were planned to evaluate and obtain the JetCAT P80 acoustic field. The paper will present inside and outside laboratory room noise measurements, correlated with JetCAT P80 speed in order to assess the staff and students noise exposure. Based on these measurements, the maximum running time will be calculated such as the exposure level to be kept under the legal noise limits. Taking into account the worst scenario (most loud operating regime), measurements results will be used to predict the noise contours in the campus area. The noise contours will be calculated using noise mapping commercial software and will help to schedule the faculty program. 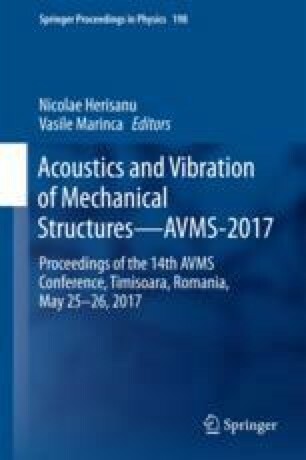 The obtained noise results are input for future experimental and numerical simulation work to reduce the jet noise by using different types of noise reduction gas dynamic method. This work has been funded by University POLITEHNICA of Bucharest, through the “Excellence Research Grants” Program, UPB–GEX. Identifier: UPB–EXCELENȚĂ–2016 Research project title: “Study and research regarding aviation engines jet noise reduction using chevrons”, Contract number: 81/26.09.2016.